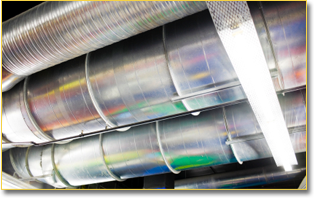 Give H & S Metals a call at 281.421.9488 to place an order for your ductwork fabrication! Welcome to H & S Metals! H & S Metals is Houston’s premier HVAC Sheet Metal Fabricator for commercial and industrial properties. Whether spiral, oval, square or rectangular ductwork, we can construct materials for it from your hand sketches, shop drawings and contact drawings. Take a look at our Services and Products pages to learn about what we have to offer. The owners of H & S Metals have many years of experience in the sheet metal trade, so you can trust that they’ll get your ductwork right the first time. We proudly serve Montgomery, Harris and all other surrounding counties, which includes the following cities and towns: Houston, Baytown, San Antonio, Conroe, Pasadena and everywhere in between.